Episode 1 : "If Wet...In The Ballroom"
Due to very wet and inclement weather, the staff have to make plans to entertain the campers in the ballroom. They put on a variety of things, including the child-hating Partridge putting on a magic show where one loud-mothed brat gets more than he bargained for! 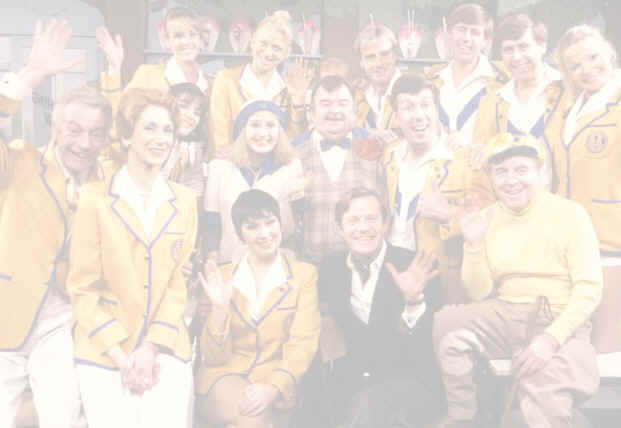 Episode 2 : "Peggy's Big Chance"
There is to be a visit at the camp and Peggy wants to fulfil her dream of becoming a Yellowcoat, so Jeffrey arranges an interview. Ted meanwhile has another way of getting Peggy noticed, he asks her to take part in the pool wheeze, as the shark! Sadly, Peggy misses her chance vows never to give up! Episode 3 : "Lift Up Your Minds"
Jeffrey is fed up of all the daft games at the camp and tries to introduce some culture to the campers by trying classical music recitals with disastrous consequences. That is until Ted Bovis gets involved and livens up the procedings. Episode 4 : "On With The Motley"
Ted has the chance to better himself at a posh golf club dinner, but he has to persuade Jeff to let him go first. He gets back from the dinner and realises that the sort of humour he went with was CERTAINLY no good for posh place. He starts getting all slushy and realising where he belongs, back in the ballroom. Episode 5 : "A Night Not To Remember"
Jeff gets very drunk whilst in the ballroom by being plied with drinks from some male campers. He has to be escorted back by Gladys. In the morning he wakes up and has been undressed. He wonders who undressed him. It couldn't have been Gladys, could it? Episode 6 : "Sausages Or Limelight"
Spike meets a girl and falls in love with her. There is only one problem, her father wants him to give up his career as a comic and take up butchery. Ted gives him advice which he takes to heart and realises that he wouldn't be realising his dream if he gave up being a comic. He makes the choice of staying on at the camp, which pleases Ted.